Looking for a Home Appraisal in Atascocita, TX? Our Texas certified appraisers are the leading providers of independent residential and commercial real estate appraisals in the Atascocita market area. Our philosophy is to provide our clients with a fast, reliable and professional appraisal report that meets or exceeds their expectations and requirements for use. Not only do we complete our reports faster than most other appraisal businesses, we offer some of the lowest costs for appraisal services in the area. We take pride in providing real estate appraisal services for any need including lending, private use, insurance and legal matters. Whether you’re a homeowner or an industry professional, we take pride in deliver a friendly and reliable service. Should you have questions, or do not see the exact service you need, you can use our online contact form or call us directly at the number listed on this page. 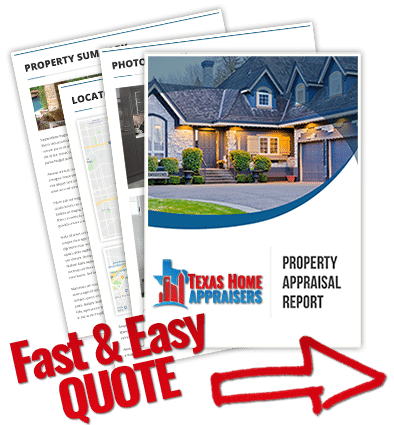 If you are looking for a licensed houston house appraisers to complete a fast and friendly appraisal for your home, call the number above now or submit the short web quote form. How are comps chosen for an appraisal? The market or sales comparison approach to an estimate of value is a process of comparing market data, that is, prices paid for similar properties, prices asked by owners, and offers made by prospective purchasers or tenants willing to buy or lease. Typically a comparison grid is used and adjustments are made to each of the comparable sales for major differences between the comparable and the subject property for such items as location, gross living or building area, lot size, condition/effective age, market conditions, degree of remodeling, construction quality and significant amenities. In the market approach, the appraiser attempts to both gauge and reflect the anticipated reaction by a typical purchaser to the subject property. Is a home inspection part of the appraisal process? No. Appraisals and home inspections are two very different services. A home inspectors job is to review the structural, electrical, mechanical and plumbing a home and not any deficiencies or safety issues. While the appraiser must perform a basic inspection of the subject property, it is nowhere near as extensive as what a home inspector does. The majority of the appraisers efforts are focused on market research to determine value based on “assumed” condition of the home. Just how much any particular individual improvement might add to your home’s market value, what appraisers typically call the contributory value, can often vary widely from market to market, dictated by the wants and needs of each neighborhood. Because some improvements may cost more to implement than they can add to the value of a home, it is more beneficial to have a local real estate appraiser provide a cost/benefit analysis rather than assuming the owner’s tastes will conform with the current market trends. Absolutely not! The appraiser is required to maintain confidentiality with the client, which would typically be you (if you undertook the appraisal) or the bank (in a mortgage related appraisal), not the local tax authorities. The only time an appraisal value would indirectly affect taxes would be in the case of a purchase and that would only be if you purchased for the price of the appraisal.